Emergency Eye Wash Station Aluminum Sign - 12" x 12"
In case of an optical emergency, this Emergency Eye Wash Station Aluminum Sign will clearly mark the area to rectify the problem. With pre-drilled holes on the top and bottom, this sign mounts easily to any door or wall. 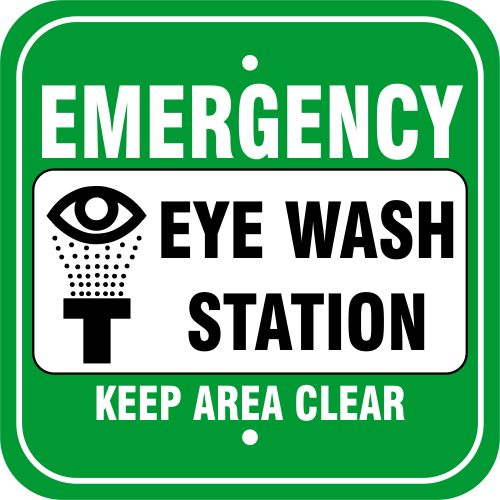 Made of durable, sturdy aluminum, this sign makes a smart addition to classrooms, offices, and warehouses that may requiring emergency eye washing. Purchase your sign today!